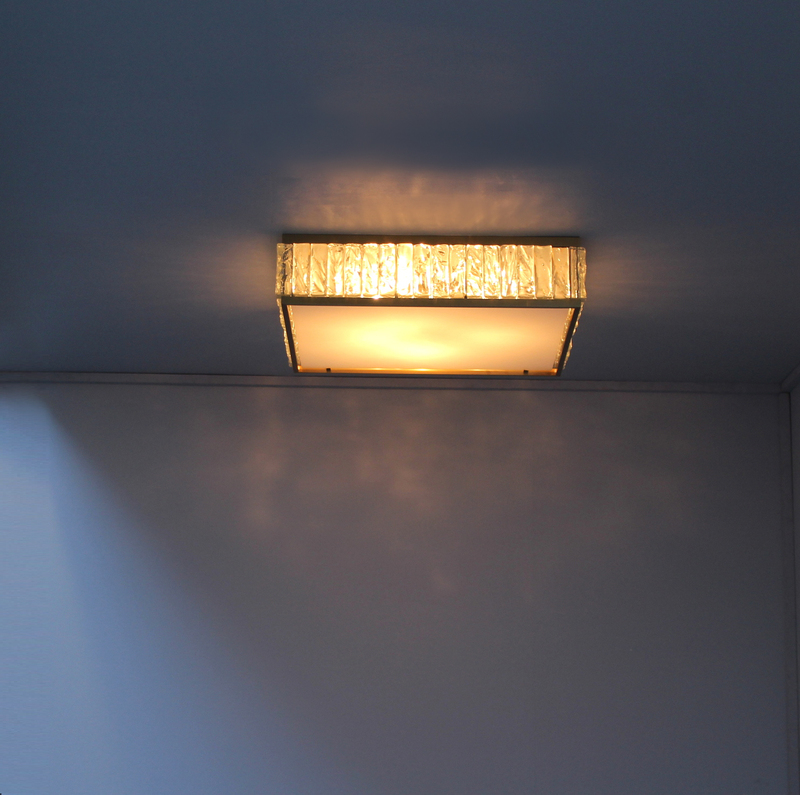 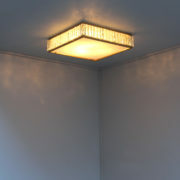 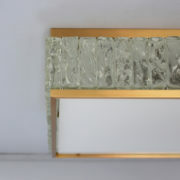 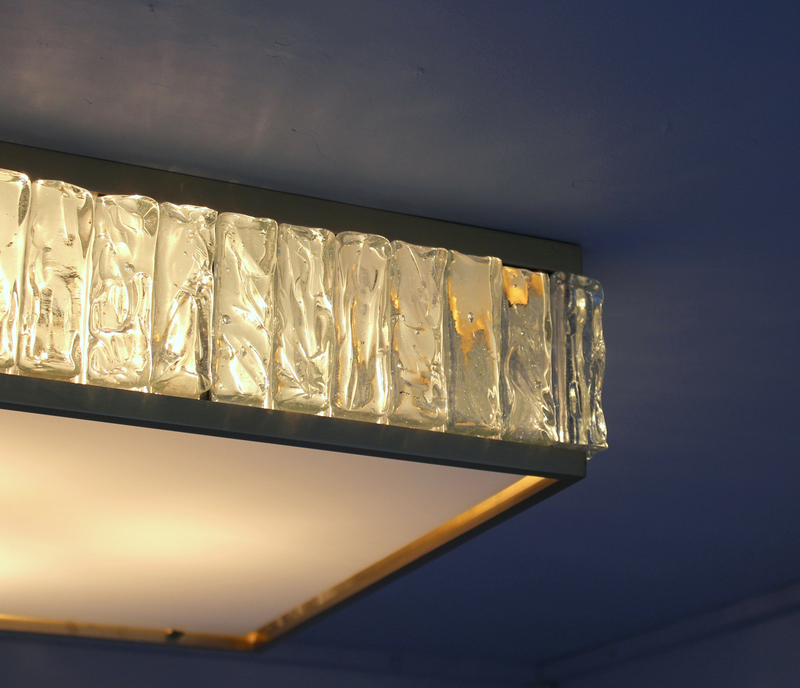 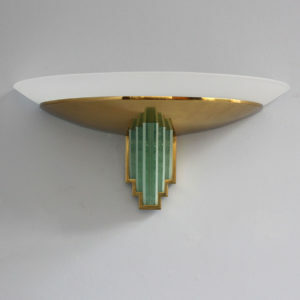 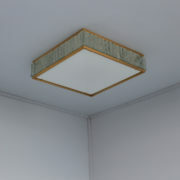 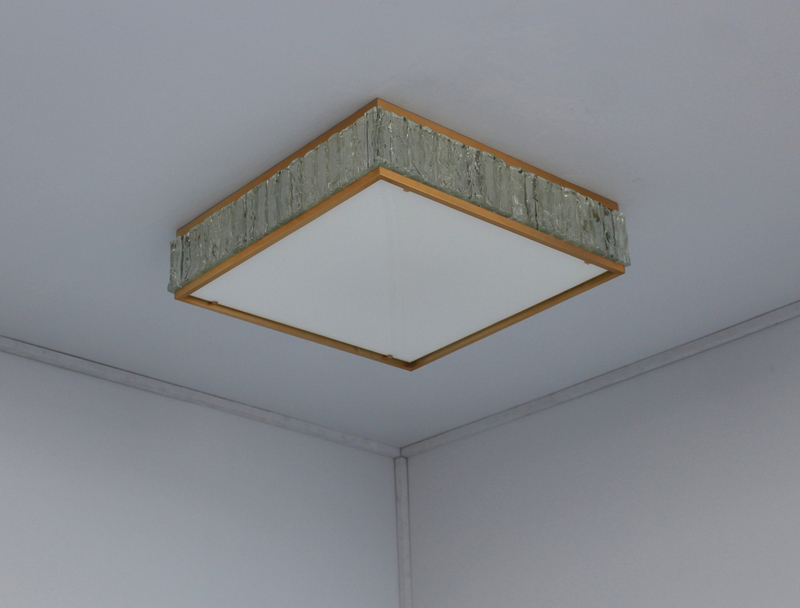 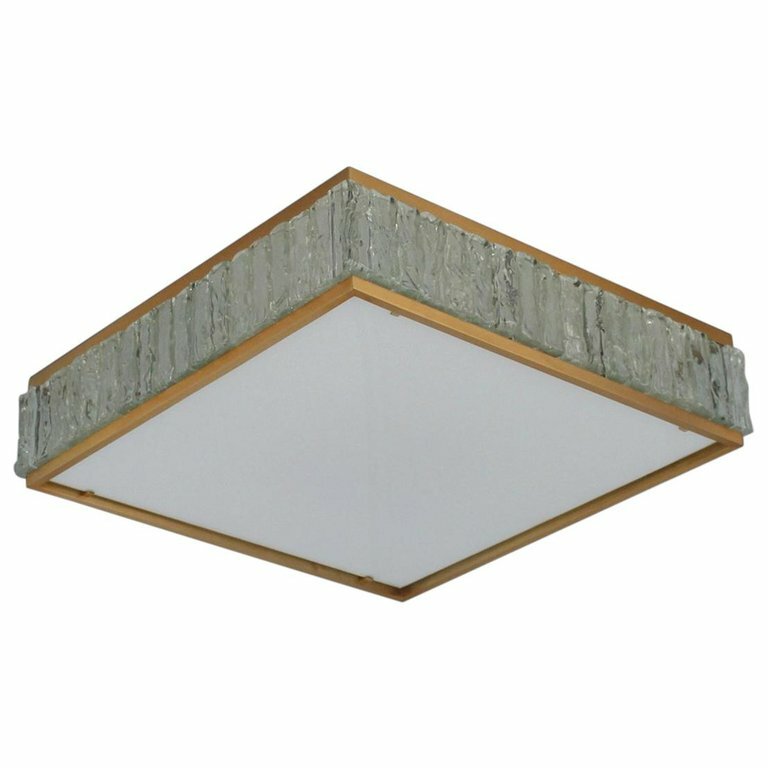 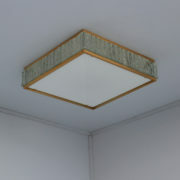 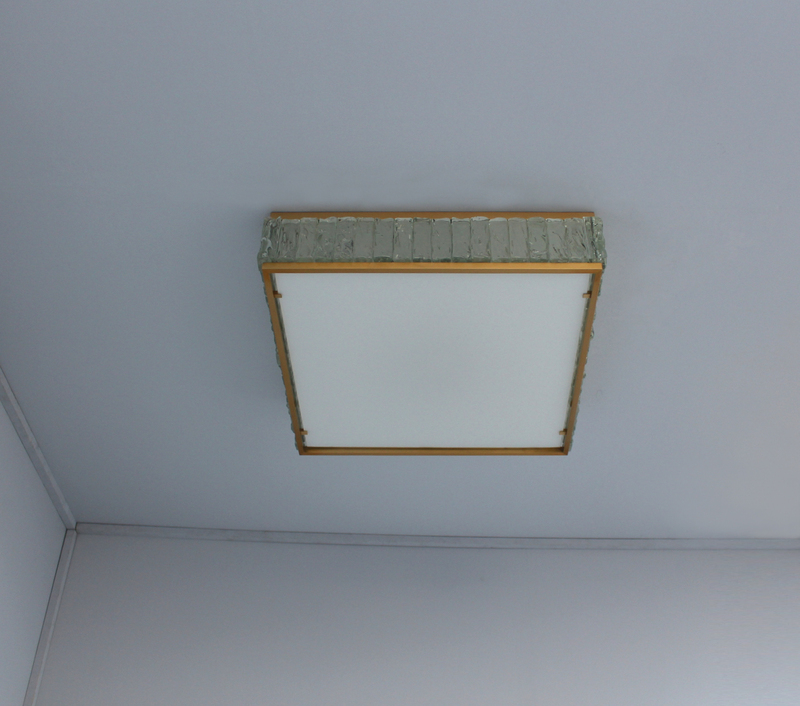 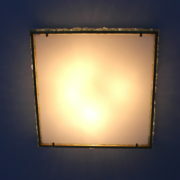 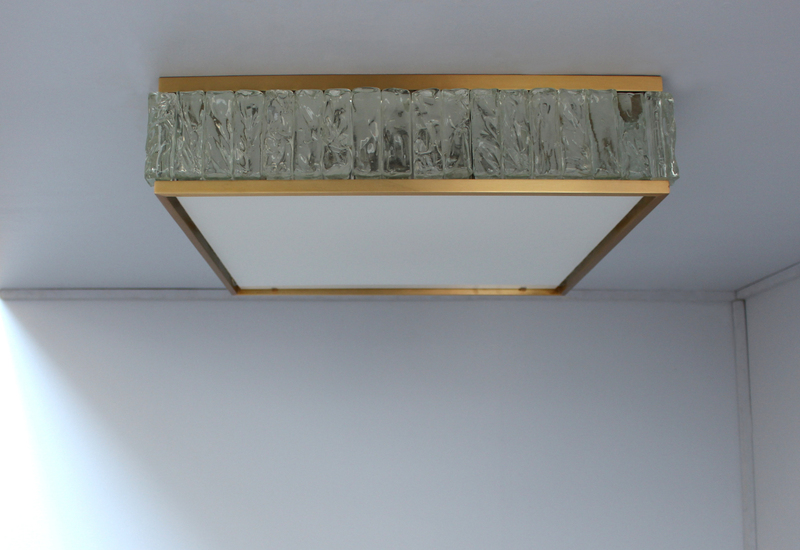 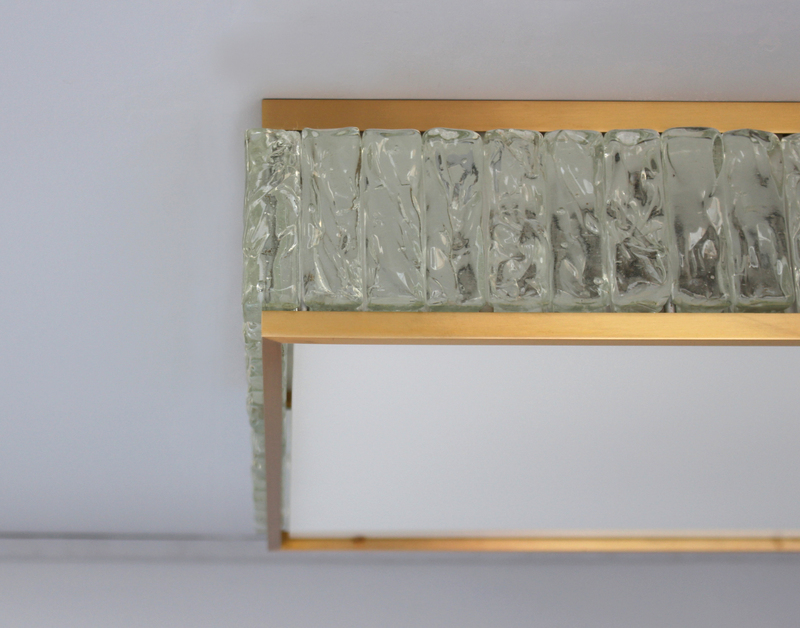 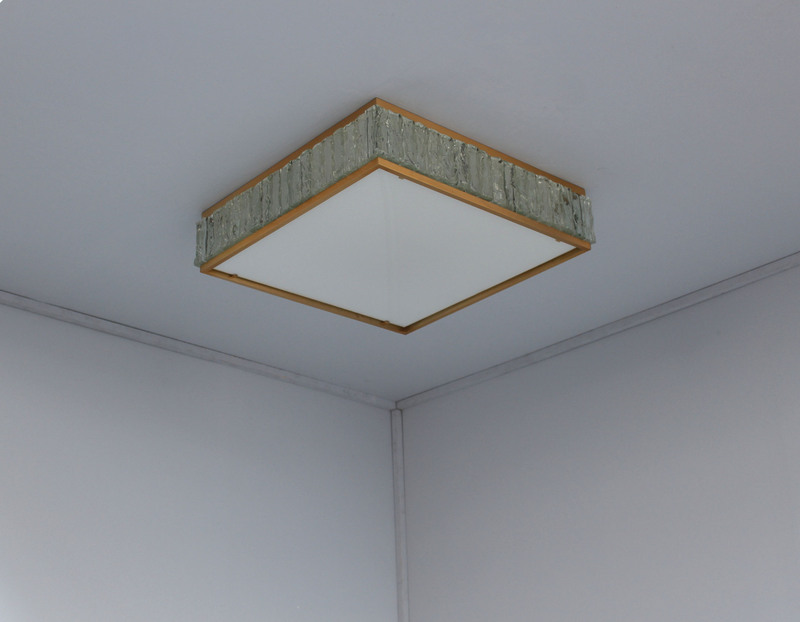 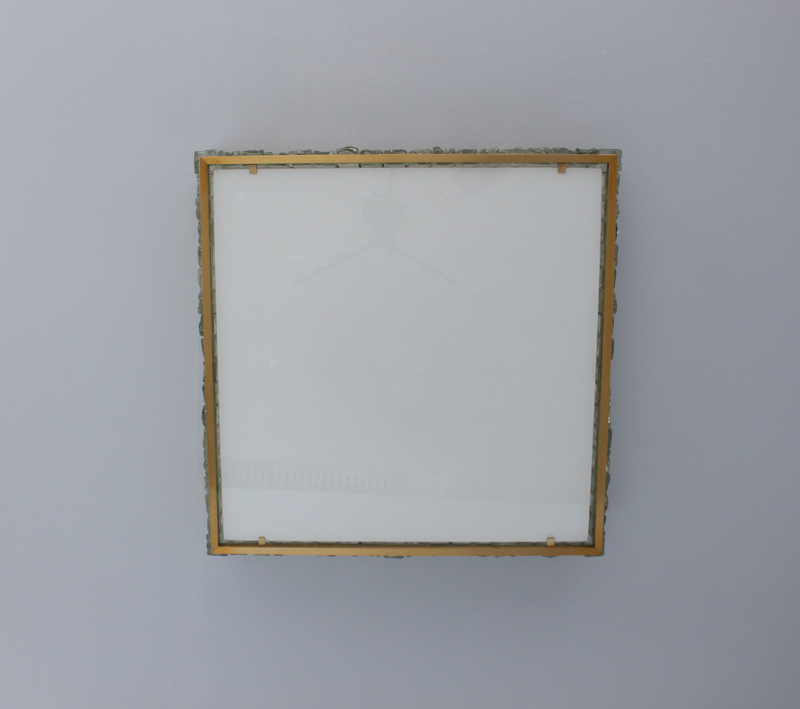 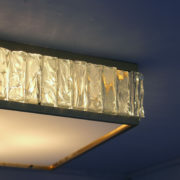 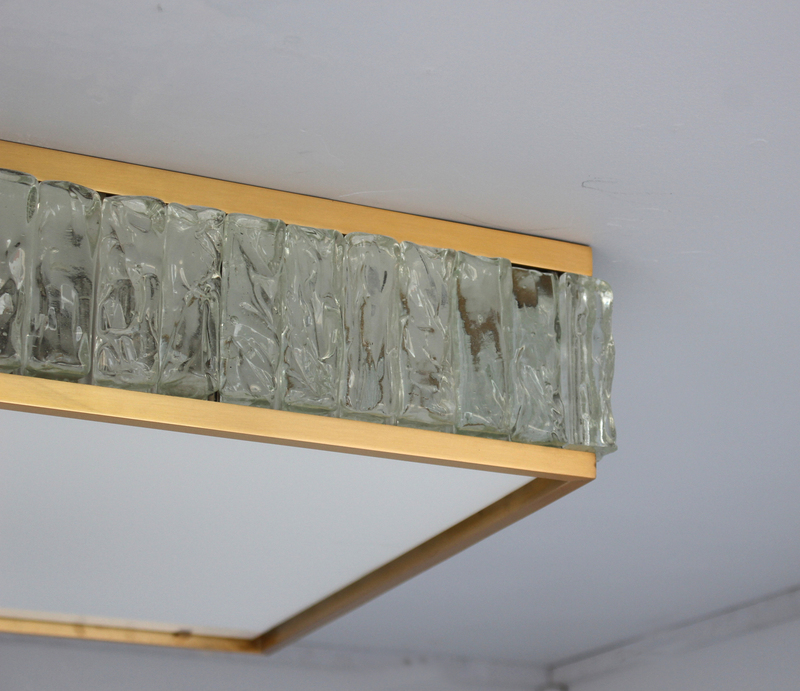 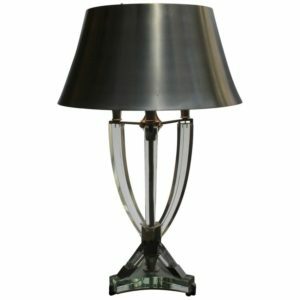 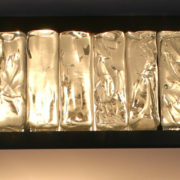 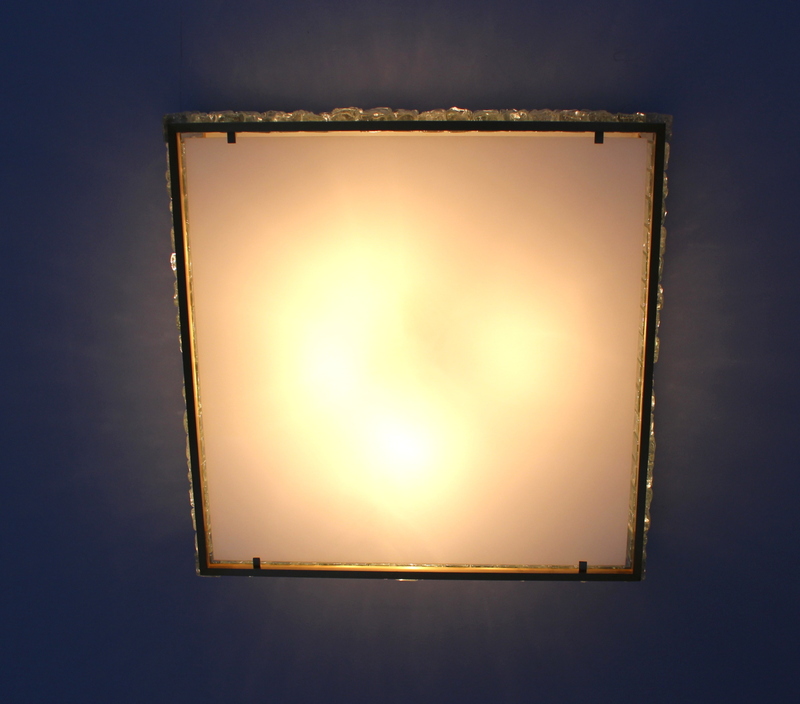 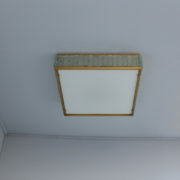 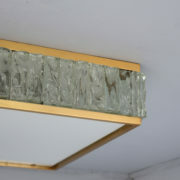 A fine French midcentury square « collier de la reine » flush mount / ceiling light by Jean Perzel made with rough laid glass slabs set between two re-polished brass frames and a white enameled glass diffuser (which is easy to remove for bulb replacement). 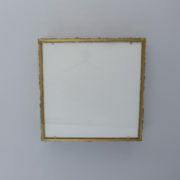 Very good all original condition; brass re-polished with a gilded gloss lacquer. 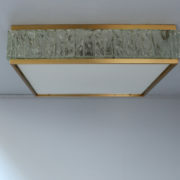 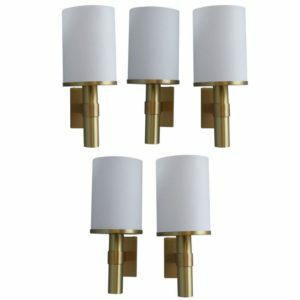 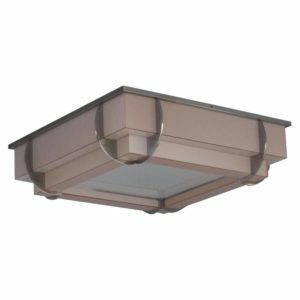 Soyez le premier à laisser votre avis sur “Fine Square Brass and Glass « Queen’s Necklace » Ceiling Light by Jean Perzel” Annuler la réponse.